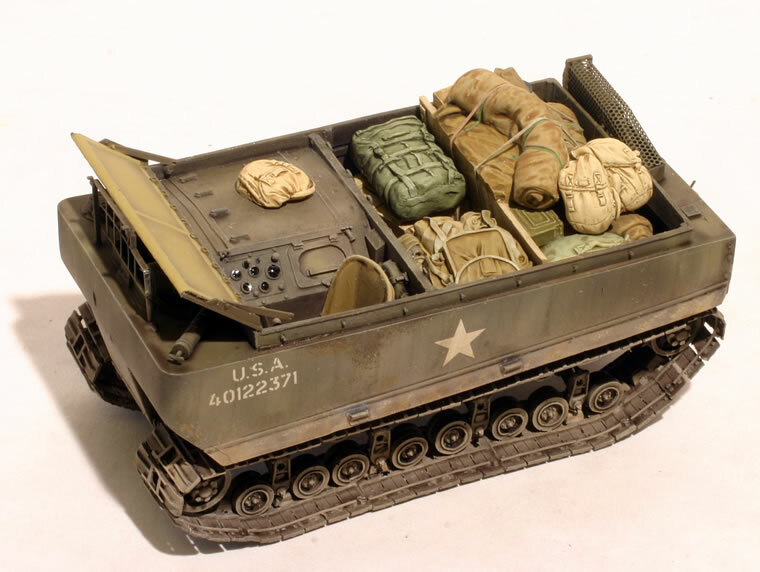 One of the armor kits I remember building as a kid was the Monogram M29C Weasel. 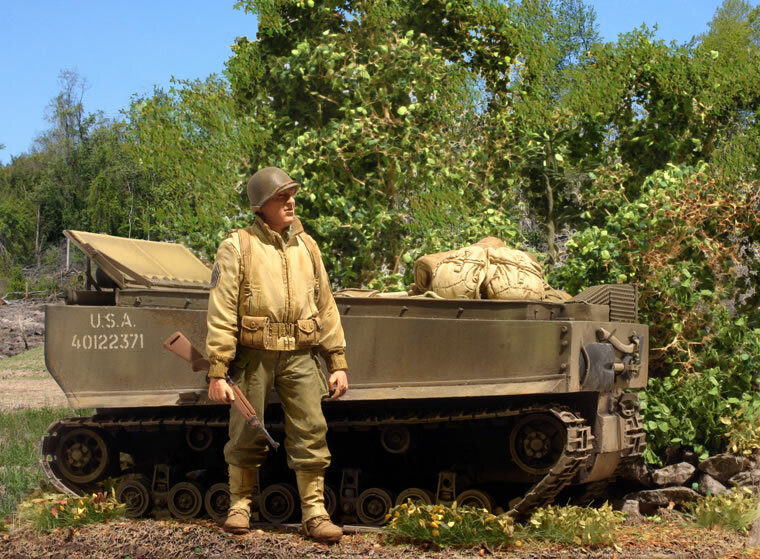 It’s surprising that this subject has not been revisited in 1/35th scale in plastic, as the Weasel is an interesting little vehicle that makes a nice modeling subject. ADV/Azimut from Paris did both the M29 and the amphibious M29C as mixed media (resin/white metal/PE) kits well over a decade ago. 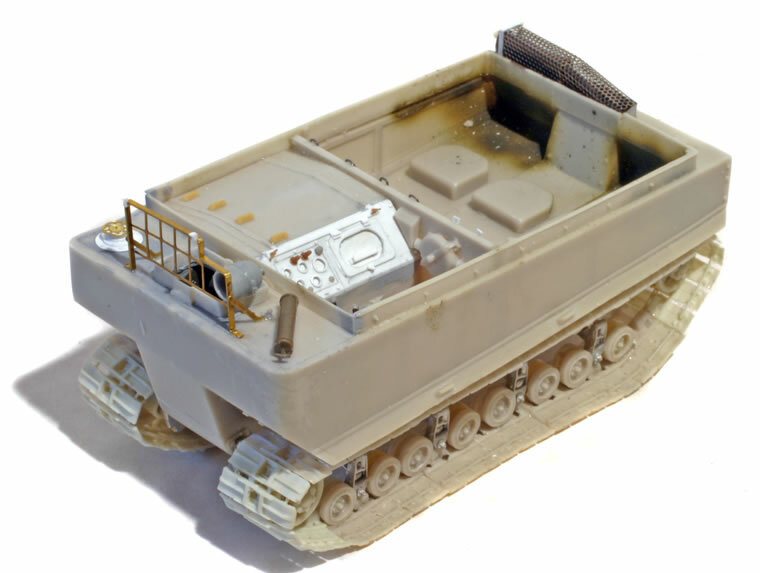 I built a M29 Weasel back in the 1990s in a snow scheme, but picked up a second kit a few years ago to build one in the more common 1944 schemes. The ADV/Azimut kit is fairly typical of mid-1990s kits, meaning the detail is adequate though certainly not up to the better contemporary kits. Some of the detail is a bit mushy, and the white metal parts make the kit a challenge to assemble. The delicate suspension is a particularly tricky assembly, and the tracks make this even more difficult. I would not recommend this kit to modelers without prior resin experience, and I can only hope we eventually get one in plastic. I rebuilt the instrument panel and some other details, but otherwise, the model is pretty much out-of-the-box. 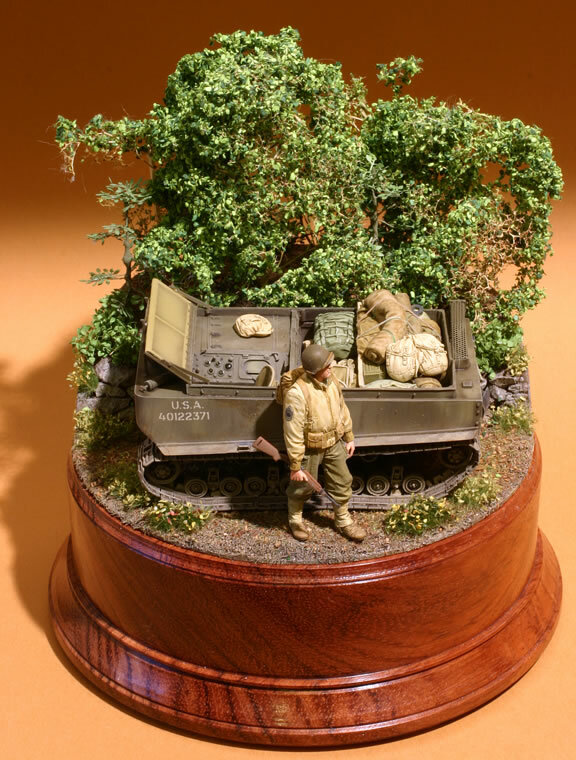 The accompanying figure on the vignette base is the excellent resin Evolution Miniatures “Ranger” figure which seems to be patterned on the Tom Sizemore character from the “Saving Pvt. Ryan” movie.